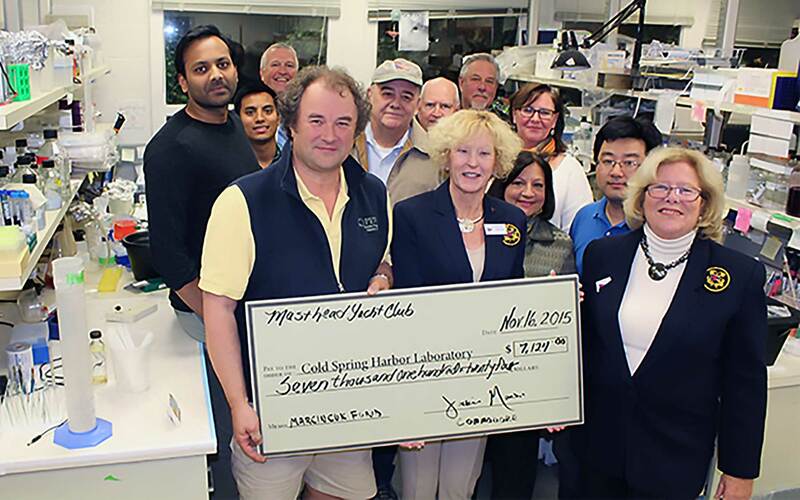 Cold Spring Harbor, N.Y. — Members of the Masthead Cove Yacht Club (MCYC) raised $7,124 from their annual Masthead Race on August 16. The proceeds were donated to support cancer research conducted by CSHL Professor Nicholas Tonks. The event has raised over $50,000 since it was started in 2006 in memory of the MCYC’s former Commodore, Carol Marcincuk. Carol was an avid sailor and a beloved employee of CSHL who died of ovarian cancer in 2004.